addresses module 1 of the Common Core standards. 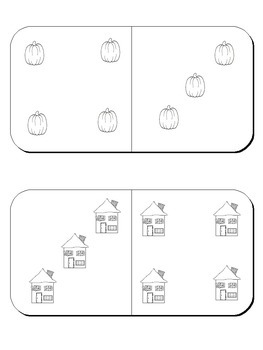 Jack-O-Lantern work mats for the Pumpkin Seed- part, part whole and missing part center activities. 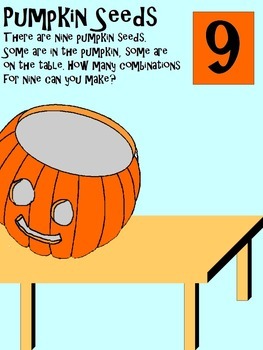 For numbers 5-10.
can choose which one to use. I suggest laminating them for future use as well. 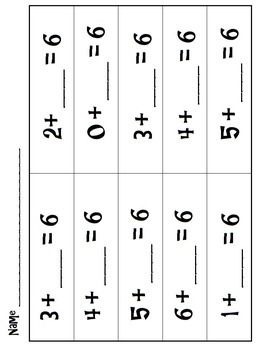 Additional worksheets for fact practice with numbers 5-10. 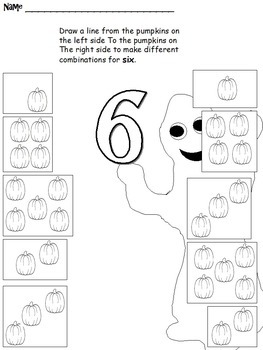 The Pumpkin Seed(Jack-O-Lantern) work mats and many of the worksheets are the same format with only the target number changing. This allows young learners to be independent within a structured framework. Once they know the activity, they can move on and only have to focus on different number operations, rather than a whole new activity. This is made on Power Point but is not a slide show. Just print out the slides.